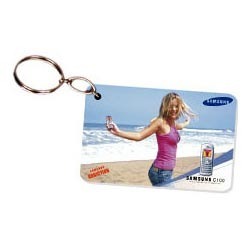 We are the leading manufacturer and wholesaler of Plastic Plastic Card Keychain. Our offered products are Printed Plastic Cards, Cards Lanyards and Conference Badges. We are a trusted name in the industry for manufacturing and Suppling Plastic Key Chains. 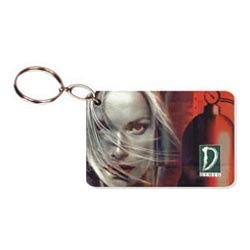 The offered key chains are widely demanded and have earned us loads of profits and appreciation. These are exceptional in terms of quality and meant to serve for long period of time. They are available in a wide range of sizes and are quality approved. Our products are easily available owing to our major transportation network. As a noteworthy entity of this domain, we present clients with the premium grade of Fancy Metal Key Chains. Their elegant design, alluring appearance and seamless finish, make the fancy metal key chains highly demanded. For designing the fancy metal key chains in accord with the latest market trends, we make use of the finest grade metal. 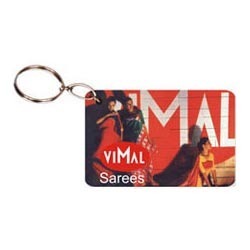 Backed by our immense knowledge base, we are manufacturing and supplying Key Chains to our revered patrons. The offered key chains are impeccable in terms of quality and made in tune with the international standards. They are widely demanded during conferences and seminars. These chains are made in a sophisticated manufacturing unit loaded with innovative technology machines.